This Venue is currently unclaimed. We strongly advise contacting the venue to check details before traveling. 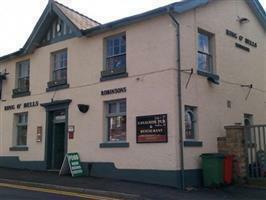 The Ring o Bells is a multi award winning pub in the heart of Marple. It sits alongside the canal and has its own canal boat which has been transformed into a floating pub and party boat. The Bell can be chartered for all occasions then returning to the Ring o Bells for a meal. The pub itself if full of charm and character with open fires and walls adorned with pictures of Marple and the pub from a bygone era. It is open all day everyday and offers fresh home cooked food throughout the day. There is a canal side terrace which through the summer has weekly brass band concerts whilst enjoying the food and drink on offer. In the evenings there are quiz nights and regular light indoor entertainment to cater for all tastes. The landlord; Michael Coleman is an ex-professional musician and singer. Played the saxophone with many famous groups e.g. Edwin Starr, Kim Weston, Guys & Dolls. He formerly headed the largest entertainment agency outside London, where he was "discovered" and worked with many famous 70s groups including Mud, Sweet, Smokey. He also worked alongside Peter Stringfellow in nightclubs and discotheques in Leeds, Manchester, London, New York, Miami Beach and Rodeo Drive Los Angeles.